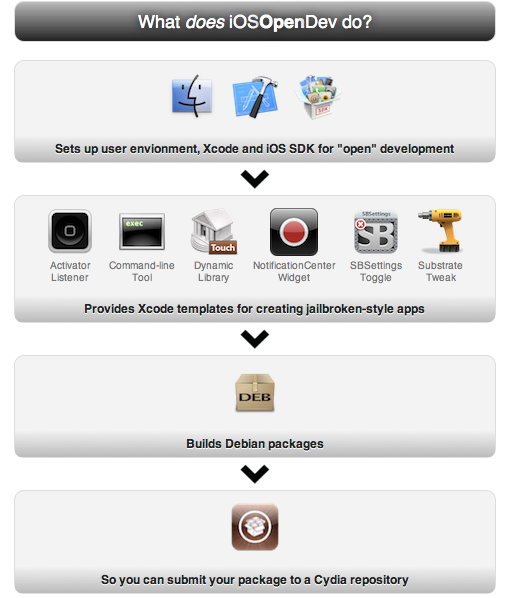 A new utility called iOSOpenDev is going to introduce an open source platform for iOS developers containing Xcode templates for creating new Cydia tweaks with little programming knowledge. The iOSOpenDev project will allow users to build common types of jailbreak tweaks, including Activator listeners, command line tools, dynamic libraries, Notification Center widgets, SBSettings toggles, and Mobile Substrate tweaks. 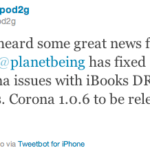 It will even build .deb files of the completed projects for when a developer wants to submit to Cydia for publication. iOSOpenDev utility should be available as a free download soon but we don’t have an ETA yet. You can also follow its development on Twitter by following @iOSOpenDev.